Congratulations to ALL of our winners, our badge recipients, our volunteers and coaches, and to all of our members for an outstanding season! Both skaters were well deserved of their award and we could not be prouder of our Cobras! Way to go Peter and Chris!! 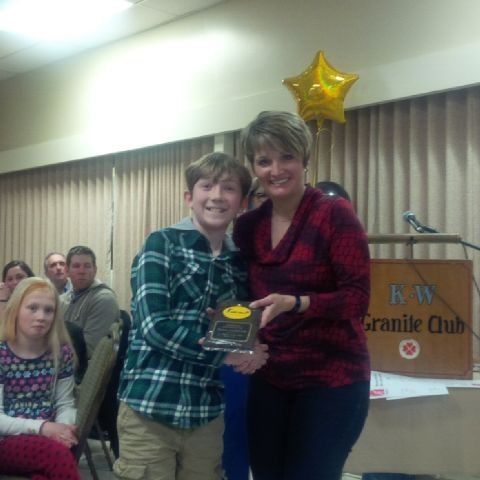 They look pretty happy accepting their awards from club President Angela Schrum. We also handed out the Presidents Award to the club member who shows inspiration, dedication and support as a volunteer to our club. 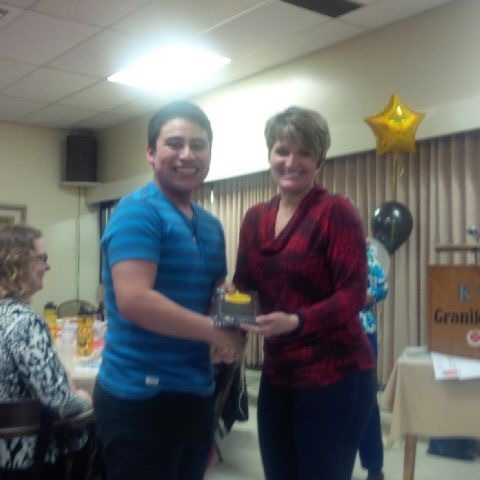 The award this year went to Kelly Schmidtke, our Communications and E-Media Director and member of our board. 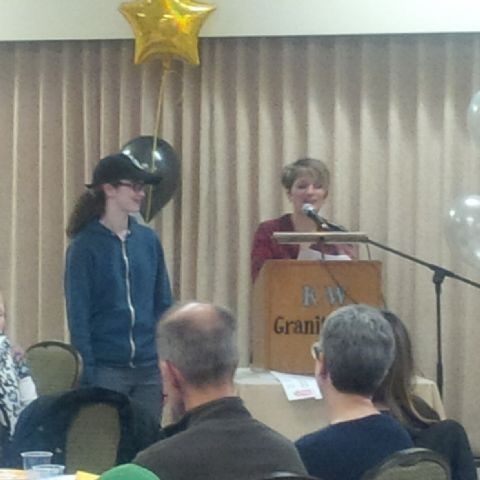 Kelly was out of town for our award ceremony, but her daughter Samantha accepted the award on her behalf.